CloudRail.OS bring the CloudRail.Box experience to your own hardware. It is a complete software platform for industrial devices to turn any hardware into an IoT Cloud compatible device. CloudRail.OS leverages your existing hardware to quickly create complete and market ready IoT devices which seamlessly interact with any cloud platform. 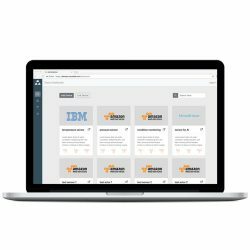 It’s the easiest way to make your existing product portfolio like sensors, IO-modules or PLCs “cloud ready”. 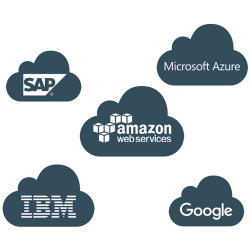 CloudRail.OS works with all big Cloud IoT platforms like Microsoft Azure, Amazon Web Services (AWS), IBM Cloud, SAP, Google Cloud Platform, Alibaba Cloud and many more. CloudRail’s update guarantee ensures that all major platforms are always covered. 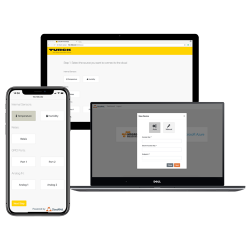 A simple and intuitive user interface, which adjusts to your hardware, allows your customers to connect industrial devices to any IoT Cloud within minutes. Select the sensor, choose the cloud platform, done! Even external IO-modules are handled fully automatically. CloudRail.OS comes with an optional device management solution. It allows your customers to manage all smart devices even in a multi cloud provider environment. Even remote firmware updates can be handled here. 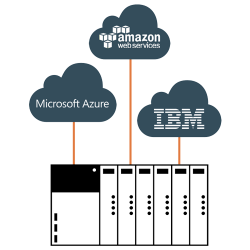 This product is available as a hosted white label solution which opens new recurring revenue channels for hardware vendors. We know that development resources are always limited. That’s why we offer a complete solution: Simply provide us with your existing hardware and we will turn it into a market ready Cloud IoT device within weeks. CloudRail software runs on more than 100 Million devices worldwide. Turn existing hardware into an IoT device in just a couple weeks. CloudRail keeps everything running, secure and constantly adds new Cloud IoT platforms.